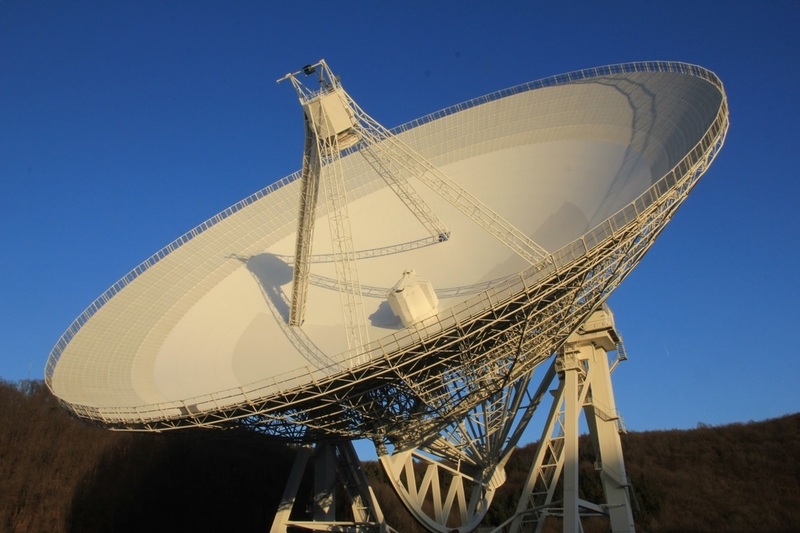 We designed and built a sophisticated receiver for Germany’s Effelsberg telescope. German engineering is renowned. 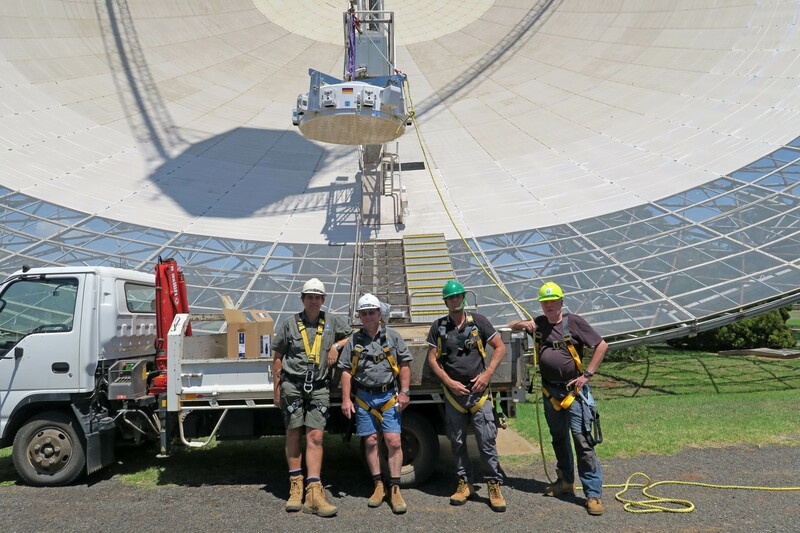 Our Parkes radio telescope was built by a German firm, MAN (Maschinenfabrik Augsburg–Nürnberg). 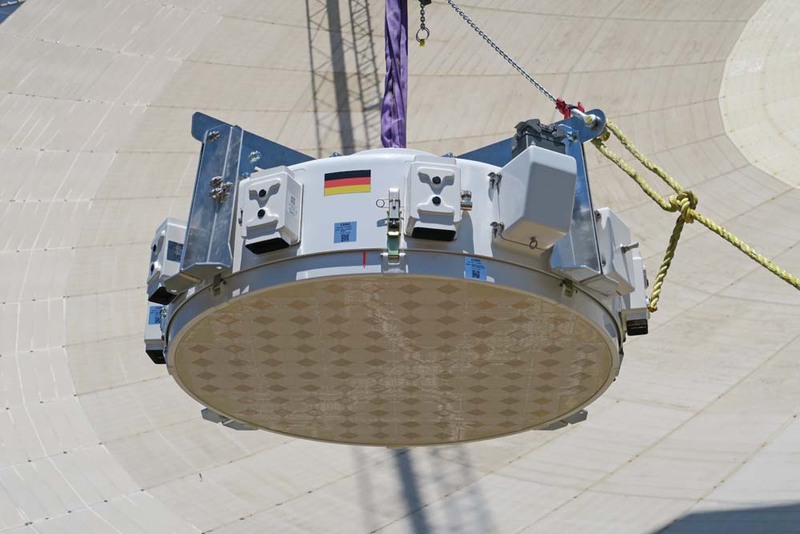 Now our astronomy technology is boosting the performance of Germany’s flagship radio telescope. We’ve provided a sophisticated radio receiver called a ‘phased array feed’ or ‘PAF’ for the Effelsberg telescope. At 100 m in diameter, Effelsberg is a tad bigger than Parkes and the biggest single-dish telescope in Europe. Although we designed PAFs for our new ASKAP telescope in Western Australia, which is an array of 36 dishes, it turns out they’re pretty handy for single dishes too. 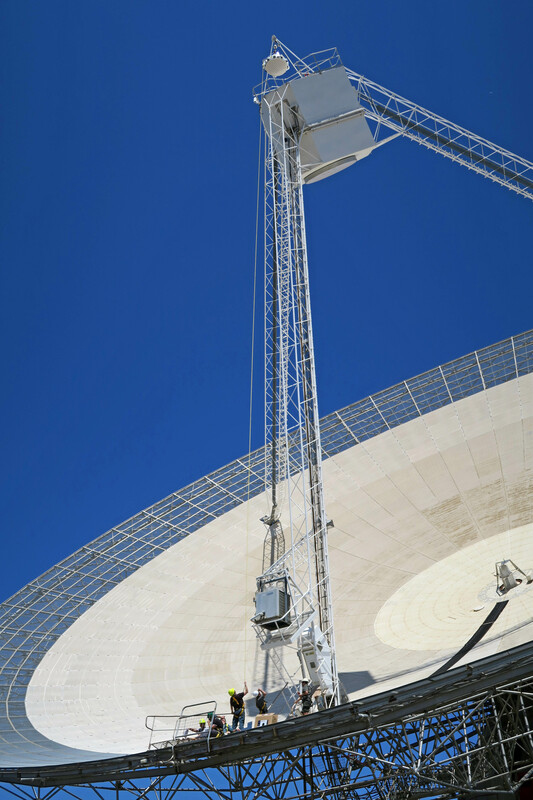 Before we shipped the customised PAF to Germany we put it on the Parkes telescope for a few months to see how it performed on a big dish. The answer was, very well indeed. The PAF could detect one of the fundamental components of the Universe, atomic hydrogen, much further away than we usually can. And it let astronomers cut out a lot of pesky radio interference – unwanted radio signals arising from human activities. 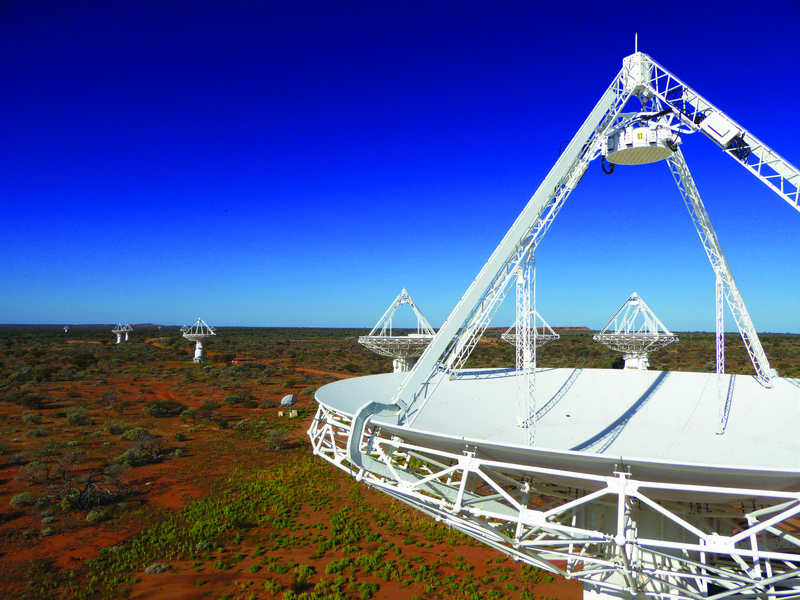 The tests were led by scientists from the International Centre for Radio Astronomy Research in Perth, Western Australia. One of them, Professor Lister Staveley-Smith, is leading a bid to fund a special cooled PAF to use on Parkes long-term. That cooled PAF would do some pretty cool science, like looking for signs of exotic matter called ‘positronium’. When the Parkes tests were over we took the PAF to the airport and sent it on its way to Effelsberg’s operator, the Max Planck Institute for Radio Astronomy. In its new home it’ll be searching for fast radio bursts, the still-mysterious radio signals from the distant Universe. In other applications, phased-array feeds could also be used to observe Earth from space and for other kinds of imaging. You can see our PAF technology at the Adelaide Convention Centre from 25 to 29 September 2017, on the Australian Government stand at the International Astronautical Congress. Read more about our out-of-this-world astronomy and space research here. Murray, see section 3.7 of https://arxiv.org/abs/1709.05085 for the new limit on signals from Positronium in the centre of our galacy. I’d like to read about a positronium signal.